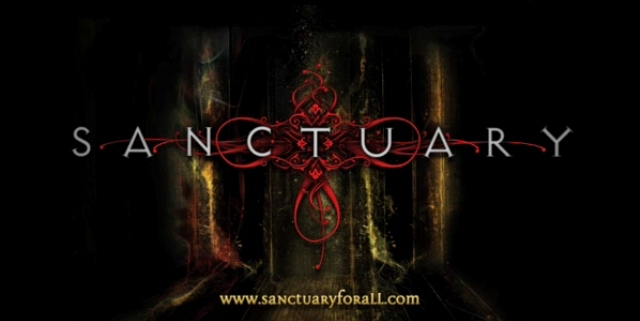 Sanctuary: “Acolyte” – They Will Rise From Below! 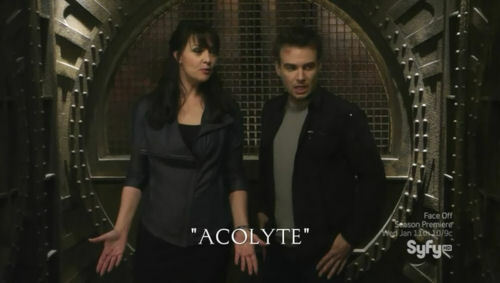 “Acolyte”, an episode long anticipated by fans of the series was excellently written by Alan McCullough and superbly directed by Lee Wilson. We open with a jeep tearing down a dirt road. 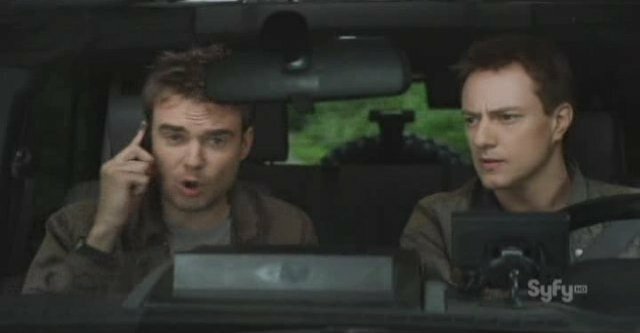 The jeep is being driven by Declan MacRae (Robert Lawrenson) with Will (Robin Dunne) riding shotgun. 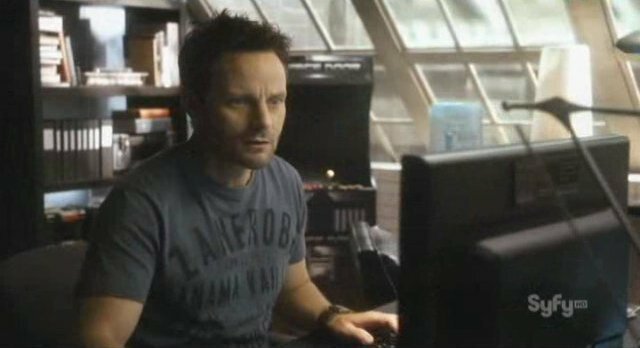 They are looking for another road, guided by Henry (Ryan Robbins) via his cell phone. They come across a roadblock and abandon the jeep, running through a thickly wooded area like it is Mantracker (they should do an episode like that – it might be fun). Their destination is a large building on a coast. 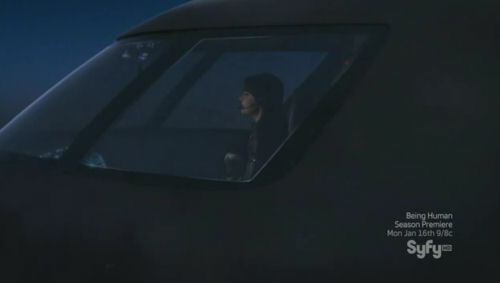 Will gets on the radio and tells Magnus (Amanda Tapping) to get out. Then the building blows up. 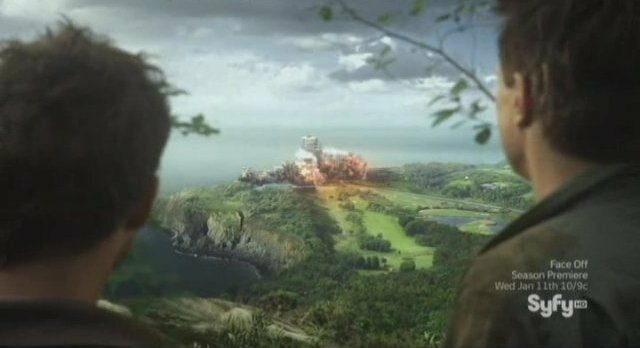 Then, post credits, we get a lovely shot of the Sanctuary and the legend “Three days earlier”. Oh, no. Seriously? Four seasons in and the writers still feel this bad device is necessary? In the opinion of this reviewer, it is not needed. Stop it and stop it now. Okay, that minor rant over, back to Will, who’s been lumbered with watching Abnormals eat. I thought it sounded more like a mating ritual, which frankly would have been more entertaining. The argument is intertuped by Henry, who has a call from Declan on a priority channel. He has a surprise – Kate Freelander (Agam Darshi) – but sadly it’s not a social call: Kate has information about a terrorist attack being planned on the surface. 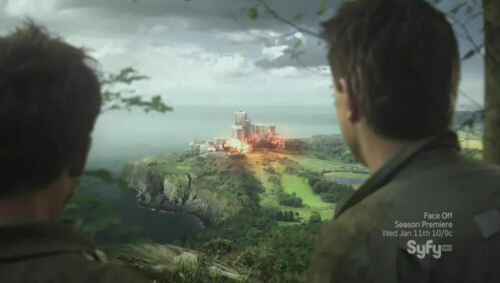 Declan arranges a stake out of a pub in order to capture one of the Abnormals planning the attack, while Henry is set on scanning the Sanctuary’s channels for any hint of a possible target and Will is off to London. Will arrives in London and is greeted by Kate. She and Declan have captured Orin – the Abnormal involved in the terrorist cell. we learn that he is in an isolation room. Will and Kate try to question him, but he is a hard nut to crack and obsessed with bringing death and destruction. Back at the Sanctuary, Henry is frustrated as well, only by technology as he tries to get information on where the strike might happen. He tells Magnus that he is going to try the Japanese cloud but then asks if she has heard from Biggie as he has left several messages without the Big Guy getting back to them. In London, Declan asks Will if he had any luck with Orin. He says that he did not, but Declan has better news by using CCTV cameras and facial recognition software. 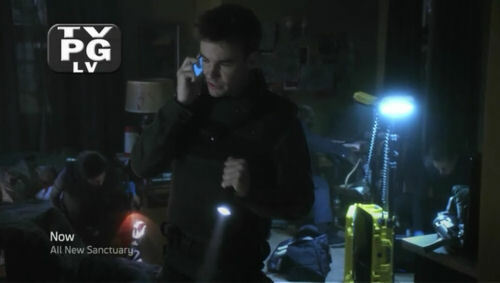 Declan has been able to isolate a warehouse Orin has used several times and could potentially be the cell’s base. Will, Declan and Kate lead a raid on the warehouse, but find every one of the group shot dead. 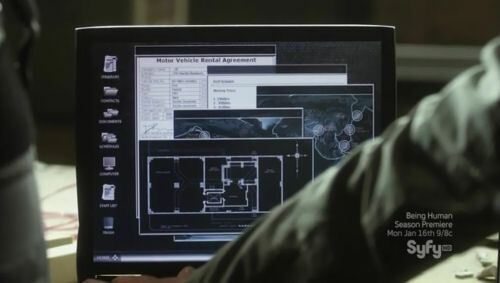 Kate finds a shipping document that Magnus believes was for Lisbon and has Henry search for anything related to that city or Portugal. Will catches Kate sunning herself. She has missed that in Hollow Earth. Will tells her that she can always come back but she says that she loves it, that she feels like a pioneer and able to be exactly who she wants to be. When Will tells her that she can do the topside, she says there is more to it and fiddles with a bracelet. Will guesses at Garris, but Kate changes the subject. Henry has hacked into a database. It sounds like he says “CISS” but he mentions to Magnus that it is awkward to be working with “a P, an I and two Ss” which spells something else entirely. Anyway, he has discovered an encrypted travel itinerary which, when decrypted, give the names of several Abnormal experts who seem set to consolidate under the SCEW banner. They check for Tesla, but he is not on the list. Damn! Back in London, Will and Kate go to see Orin and tell him that he’s released, saying that it is too dangerous to hold him and giving him the photos taken at the cell’s warehouse. Shaken by the deaths of his friends, Orin gives Will as much information as he has, which is not more than the address they have been sending detonators to. Somewhere… else, Greg Addison (Brian Markinson) finds his phone call interupted by Magnus, who has come with the news of a terrorist attack. Addison does not seem overly surprised – in fact, it turns out that not only is he aware of plans, but he thinks Magnus is the one responsible. When she asks him how he could possibly think that, he gives her surveillance photos of Biggie (Christopher Heyerdahl) talking to some hard-core terrorists. His Intel puts Biggie as the splinter cell’s new leader. Magnus refuses to accept this information but Addison makes it clear that he considers Biggie a huge threat and that if Magnus sides with him, she will be on the list as well. Will, taking a call from Magnus, also refuses to accept the possibility that Biggie has gone to the Dark Side. He reminds her of how upset Biggie has been over the new developments that have seen Abnormals kill and be killed. She tells him that Henry is trying to get to the bottom of it. In the meantime, Will is at the Lisbon address and leads a raid. They manage to take down the extremists without getting blown up. At the Sanctuary, Henry has done the unthinkable – he has searched Biggie’s room. He apologies to Magnus, but it is clear from his face and body language that he has found something. This turns out to be a flash drive with a recording of the Big Guy pledging allegiance to the splinter cell. Henry says that he must be working an angle, but Magnus knows he would not without telling her. The recording is real. 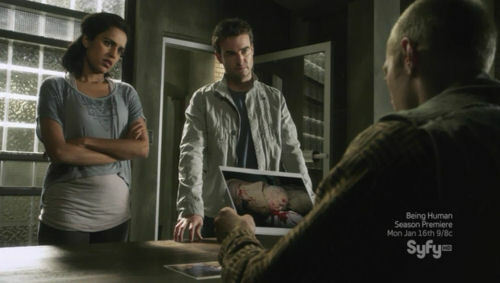 Henry points out that something must have happened, but she walks out. 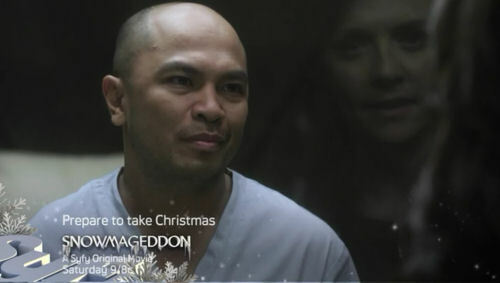 Down in the Abnormal section, she bangs on the window of the cell holding the Crixorum (Mig Macario), despite Henry’s protests that the psychic is in a coma. The Crixorum sits up, shocking Henry, and asks what took Magnus so long. It turns out that the shielding only works outside the room and by visiting on a daily basis, Biggie has been turned by the Crixorum. Henry points out that the Crixorum could order Biggie’s return, with the idea of getting the brainwashing undone, but that means dropping the shield. And according to the Crixorum, it would be pointless: the remapping of the Big Guy’s mind is permanent. Meanwhile, in Lisbon, Will and Kate have uncovered details of the attack plot – too many details. Even the make and model of the rental car is listed on the computer. 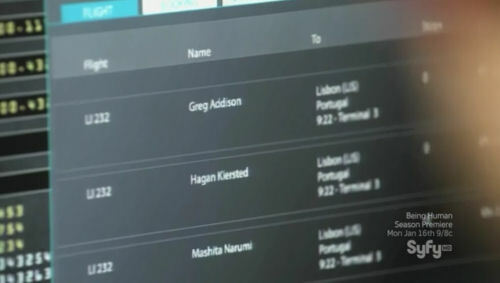 When he contacts Magnus, she comes to the conclusion that the Lisbon attack does not matter to SKEW because the summit is happening elsewhere. Henry pulls up the flight passenger manifest, checking to see if the people scheduled to fly to Lisbon have done so. They have not, which means that the meeting is not in Lisbon. Now they have a high powered get together being threatened by a terrorist attack and no idea where in the world that is going to take place. 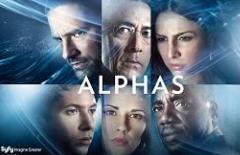 Magnus takes matters into her own hands and threatens the Crixorum with a lobotomy – removing the gland that lets him psychically connect to others unless he gives her the details. Whether or not she actually does this is left hanging, but personally I think she needs to, otherwise she is left with a severe security breach. Having gotten the information, Magnus contacts Will. The attack is happening and she is already flying out. She advises him that Henry is trying to contact Addison, but that the Crixorum has told her the attack will be done by suicide bombers… and that Biggie is one of them. Cut to a chair in a room being filmed by a camcorder. Biggie takes the seat and comes out with a spiel about how “surface dwellers” have suppressed and abused Abnormals, claiming to have been kept prisoner for fifty years [in reference to his time at the Sanctuary, should anyone have missed that]. He ends the recording with “From Below, We Rise”. In the next sequence we are in Buenos Aires, Magnus manages to speak to Addison. He has a cordon around the hotel but refuses to call off the meeting, saying that he has every eventually covered. I remembered Addison being more intelligent. Not sure what happened there, but he is wrong and the splinter group have indeed passed security by becoming invisible. Magnus and Kate overpower their guards and get past the cordon, earning a slow clap for Addison. He gets a report of a security breach, which he puts down to Magnus. Then he is sent CCTV of a van parked where it should not be. So much for that cordon, then. 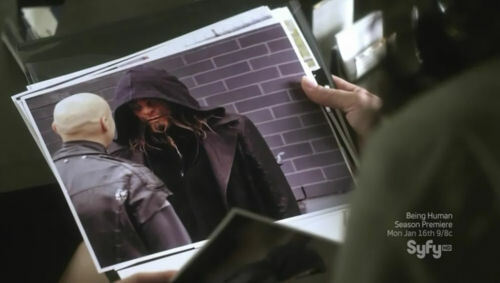 While Addison contemplates the reason he is gone bald, Magnus and Kate are checking the parking garage under the hotel. They separate and Magnus almost immediately comes across Biggie. 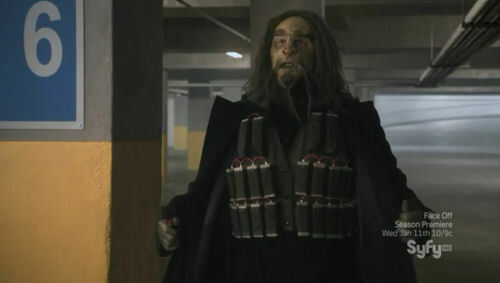 He is all strapped up with explosives and no amount of talking is getting through. As he threatens to take out the building with Magnus inside, he is clocked on the head with a fire extinguisher by Kate. The girls then disarm and drag him into the van. We are back where we came in in the beginning with Declan and Will trying to find another way into the hotel. This is why this device seriously annoys me; it is repetitive, as well as being very condescending to the audience. It is designed to get attention with a big bang. What it does is irritate loyal watchers. Writers – trust your audience. 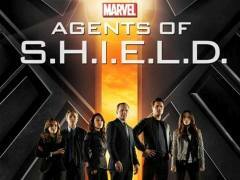 We are intelligent enough to buy the show as it is. We do not need, want or appreciate cheap tricks. Okay, I was not going to rant again, was I? Sorry. Back to the show, since that is what this is about. After several attempts, Will manages to raise Mangus on the radio. She and Kate have escaped the building in the van, but it has been blown over in the explosion and is on its side. Kate is badly hurt. Magnus tells Will that they need help. Cut to the Sanctuary at night, and some time has obviously passed. Will is sat next to Kate’s bed as she comes round. She has been unconscious for a week and had to undergo two operations. Sadly the attempts to stop a species war have failed. Kate asks about Biggie and Will tells her that he is undergoing sessions with Sally the Mermaid, trying to undo the damage that has been done. Kate says that she would like to see him, and then asks when she will be able to leave. She fiddles with her bracelet again and Will wonders if it is the Horusion Promise Band that he has read up about. Kate admits that it is and he extends his congratulations. 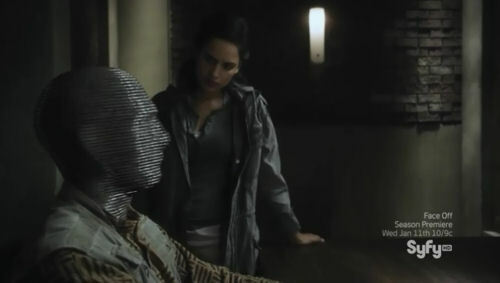 In her office, Magnus is watching the video of Biggie claiming that he was her prisoner. He walks in and she closes the laptop. She apologies to him for not realising the Crixorum was able to effect him and assures him that things will get better. Biggie says that they need supplies and she suggests that he go instead of Henry. Biggie drives to a dark alley somewhere in the city and gets out of the car. He hammers on the door. It is opened by a dodgy-looking guy with a gun. Others come out, looking like serious heavies. Or terrorist extremists. And indeed, Biggie speaks the code phrase “From Below, we rise” and is let into the building. 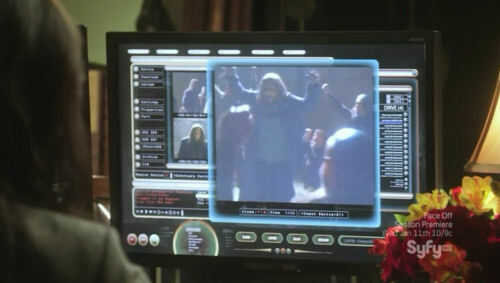 Snark about the “flash forward” device aside, Acolyte was a great episode that further explored the schism between the Sanctuary network and governmental bodies. 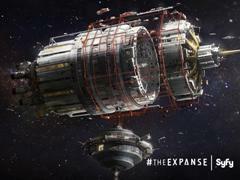 While we are still waiting for news about Syfy renewing the show for a fifth season, I think this episode hints at what we can expect both from the last few episodes and the next series – old friendships broken, new ones formed, the war between humans and Abnormals stepping up several notches, and the Sanctuary network in serious danger. At least, this is what I hope to see – what I do not want is everything “fixing” over the next few episodes. The conflict needs to ramp up and with Biggie gone to the Dark Side. We are definitely seeing a very different show, darker, deeper and incredibly powerful. I think we need to hang onto our seats! 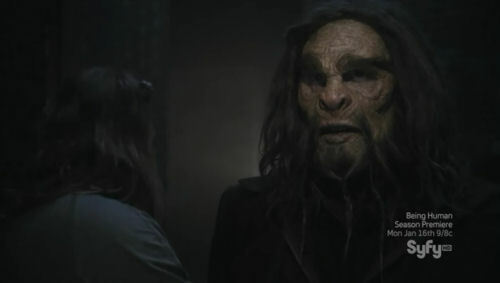 Sanctuary returns in episode eleven “The Depths”. 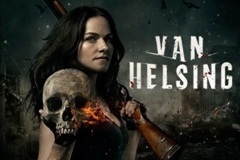 We include the extended sneak peek below courtesy on Syfy. Enjoy! 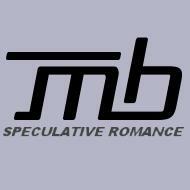 Thank you for reading my review and for visiting our news site dedicated to Sanctuary at WormholeRiders News Agency. Or as many of our readers and visitors often do, visit WHR on Twitter or on Facebook. I and the WHR team look forward to Seeing You on The Other Side! Nice review. Very much enjoyed your thoughts on the episode itself and the story arc development. Thank you. 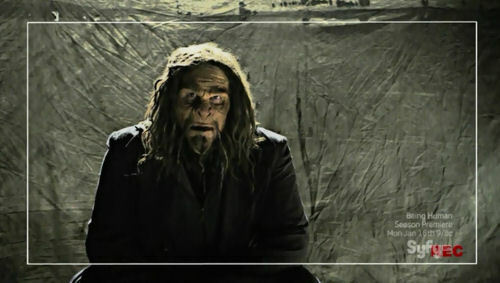 « Sanctuary: “Chimera” – The “Invisible Albino Ninjas” Strike Back!